I have had a very strange day today - one which presented me with two completely different forms of melancholy. Now this feeling initially involved me attending a prayer recital at church, where I heard my beautiful Goddaughter, Fiona, sing her little heart out to whatever she was trying to harmonize with. Please note, it was not Fiona's singing that made me turn mushy, it was the fact that my old music teacher, Mr Preston, was the person who was accompanying her upon the church organ. Well, I have not seen Mr Preston since I left school you see - which has been about fifteen years or so by now. So when I plucked up enough courage to go over to him, and then speak - it brought back many memories from my younger days. Next, my second form of melancholy, was when I heard the tragic news that artist, Jerry Robinson, had died. Now what can I say about this great man - Jerry Robinson - that other more noteworthy reviews have not said before me? Because can I state that only at the tender age of 17, Jerry inked over artist, Bob Kane, new nocturnal character, Batman, the Dark Knight? Or that at only 18, Jerry then went on to help create the clown prince of crime, the Joker, and Robin the boy wonder, too? Maybe I can next surmise that characters such as Alfred Pennyworth, Two-Face, Atoman, Johnny Quick, and Vigilante, were also penned by his innovative hand as well? Yeah - that sounds about right. But what else can I say about this legendary creator, huh? Hmm - lets see, shall wee? From 1944 to 1946, Jerry and his pal, Mort Meskin, formed a studio that produced artwork for the fleeting publisher, Spark Publications. Jerry also had a freelance career at this time too, which involved him creating numerous works for numerous genres of other publications. 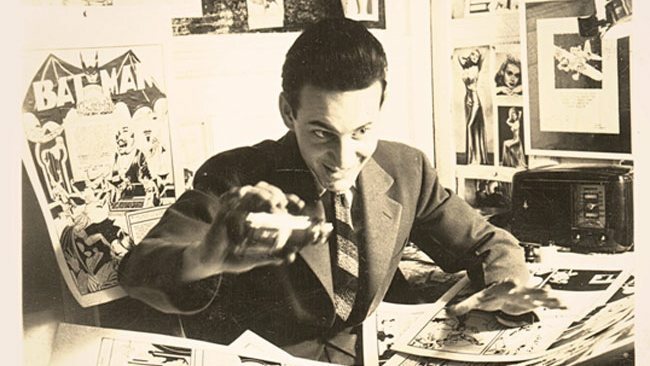 When Jerry decided to stop drawing super-hero comics in the 50's, he became a newspaper cartoonist, and created 'True Classroom Flubs and Fluffs'. 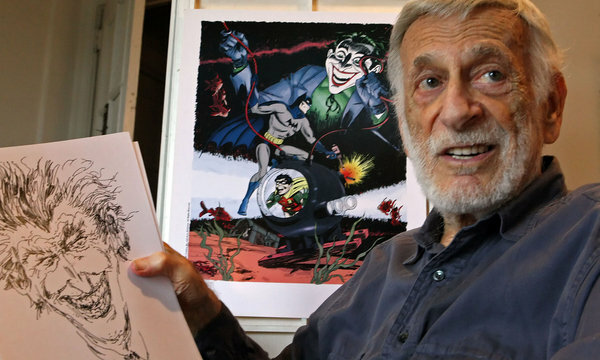 From 1967 to 1969, Jerry was the president of the 'National Cartoonists Society'. In the 1970's, Jerry launched a satirical comic strip called 'Still Life'. During the mid 70's, Jerry firmly supported Superman creators, Jerry Siegel and Joe Shuster, fight against DC Comics, for recognition of their wares. In 1978, Jerry founded the 'Cartoonist and Writers Syndicate'. In 1999, Jerry created a original manga series, called 'Astra'. In 2007, DC Comics hired Jerry to be a 'creative consultant'. 1956: 'The National Cartoonists Society' award for the comic book division. 1963: 'Still Life' newspaper panel cartoon award. 1965: 'Flubs and Fluffs' special features award. 2004: Inducted into the Comic Book Hall Of Fame. 2011: The 'Sparky Award' for lifetime achievement from the 'Cartoon Art Museum'. Jerry Robinson died on the 7th of December, 2011 - he was 89 years of age. OK, I know that I can now go on, and become somewhat morbid about his passing, explaining what he meant to me as a comic book fan, and how his work has changed my life forever. However, if I do that, will this do poor old Jerry any good? Or even his close family and friends? No - I do not think so - they have enough to deal with as it is. Instead, I will just say that I am happy that the world has known the likes of Jerry, because he has made it a very artistic place indeed. 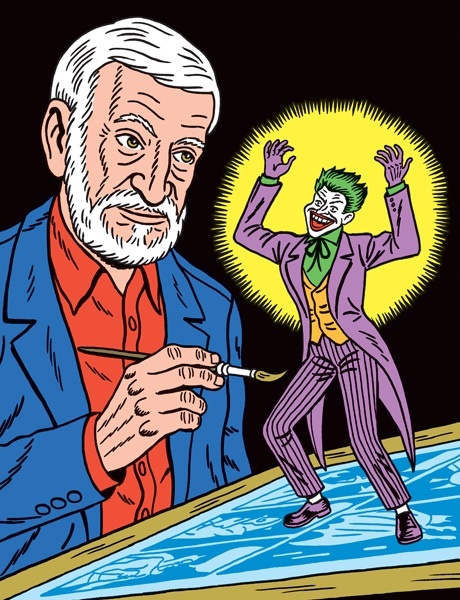 He has been able to introduce to society a new face of villainy (with the Joker) and hope (with Robin), and together, these two polar opposites will inspire many other artists for years to come. Just as Jerry has inspired me - Bless you pal, your one in a million.